Carl's Jr. is an American-based quick-service restaurant chain operated by CKE Restaurants Holdings, Inc. ("CKE") in the Western and Southwestern states. The brand is renowned for its bigger, better burgers and innovative menu items, as well as its youthful and edgy advertising that targets its core audience of "Young, Hungry Guys", or males between the ages of 18–34. 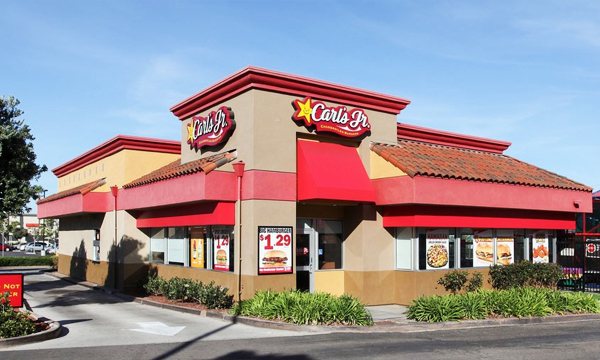 In 2016, Entrepreneur listed Carl’s Jr. as #54 on their Top Franchise 500 list, which ranks the overall financial strength, stability, and growth rate for the top 500 franchisees in any field across the United States. As of March 2016, CKE (the parent company of Carl’s Jr. and Hardee’s) has a total of 3,664 franchised or company-operated restaurants in 44 states and 38 foreign countries and U.S. territories. of investor Our ideal candidates are strong, marketing oriented companies involved in retailing or other service related business. It is possible for us to work with groups that are well capitalized, have strong knowledge of their market and have the ability to acquire the services of experienced restaurant professionals. Ideally, we are searching for companies that are involved in one or more of the following industries: food service, hospitality, retail, food manufacturing or distribution, real estate, hotel or cold storage.